Dennis Owens doing what he does best. Photos courtesy of Dennis Owens. On a Friday evening on September 11 of 1998, little did DJ Rodi Delgadillo and Dennis Owens know that they would create a Long Beach legend by way of their inaugural, every-3rd-Friday club night known as The Good Foot. Now, the audiophile pair will be celebrating Good Foot’s 16th anniversary this Friday at Alex’s Bar. 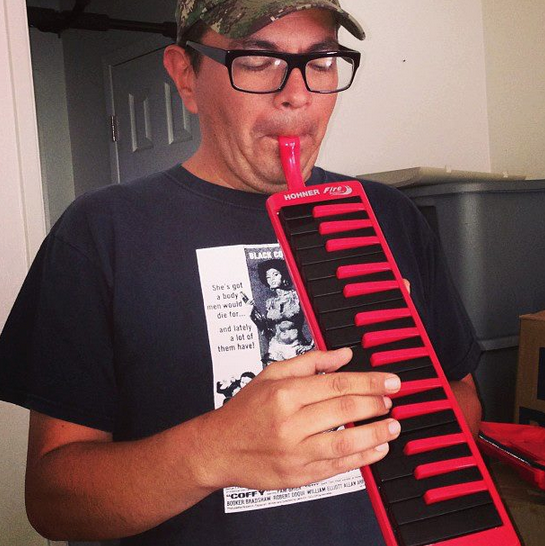 Having been in a ton of bands throughout the 90s, the musical-driven duo wanted to create something different. Owens had only been behind a turntable once before the opening night of Good Foot—admittedly a “trial-by-fire” experience, in the words of Owens—but it went well. So well, in fact, that Benz offered them a monthly go to spin everything from boogaloo and cumbia to funk and soul. Soon enough, Long Beach found their feet and legs familiar with the sounds of Sharon Jones & The Dap Kings, Boogaloo Assassins, Myron & E (who will be performing live at the 16th), The Budos Band, Jungle Fire, and more. Good Foot amassed a ton of memories for the two, particularly given the club’s first anniversary, which saw a line wrapped around the block for the first time. But the memories don’t stop there. Though both hold deep memories, there is a deeper sense of nostalgia for Owens, who was left to Foot on his own after Delgadillo opted to peace out to Japan in March of 2005. The feat that was running Good Foot on his own had to come to a halt when the club hit its 13th anniversary in September of 2011. Owens had come to the point of exhaustion and decided to close its doors on that night. 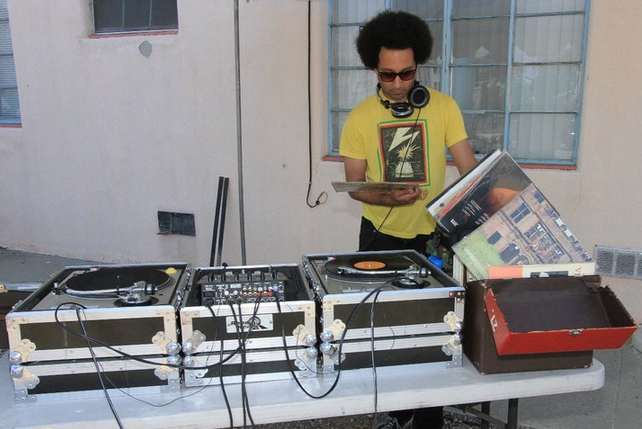 Delgadillo [pictured right] came back nearly a year later and opened Soulific Records (1409 E. 4th St., Suite B. )—but still had the itch to do The Good Foot. After discussions, the famed night of funk re-opened on its 15th Anniversary at Alex’s Bar and has, in the words of Owens, been all good thus far. 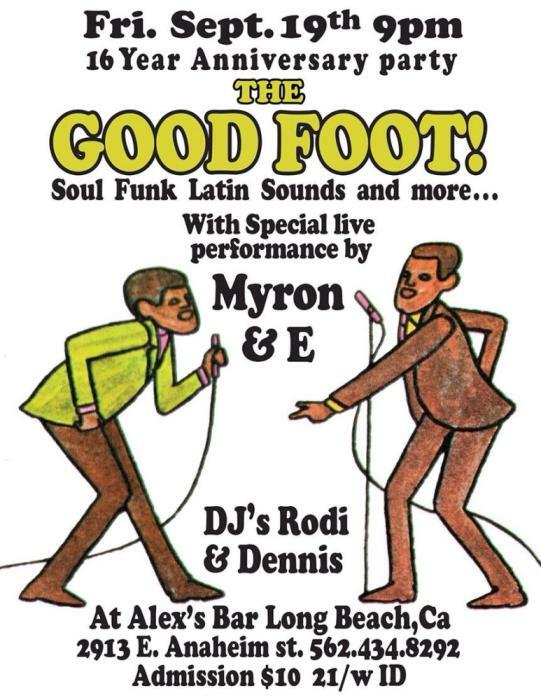 The Good Foot happens every 3rd Friday of the month at Alex’s Bar, located at 2913 E Anaheim St. Admission is $10 and is open only to those over the age of 21. For the anniversary, Good Foot will be giving out copies of the new Good Foot mix-CD to the first 200 people through the door. Doors open at 9PM.